POST UPDATED 6/29/18 to include three brand new recipe reviews. See update at the end of original post. Editor’s note/ disclaimer: Carrie Brown and I are both affiliated with Ketovangelist. Obviously. However, I write this review under my own power, and said review contains my own opinions. Previously, I reviewed a cookbook by our own resident chef, Carrie Brown, titled Eat Smarter! Ice Creams. My family and I greatly appreciated Carrie’s efforts to make a formerly decadent, but out-of-bounds dessert like ice cream something we could occasionally include in our lifestyle. After a visit from the boss, Mr. Ketovangelist himself- wherein Carrie devised the recipe for You Had Me at Hazelnut, which Mr. Ketovangelist said was the best thing he had ever eaten- Carrie was inspired, and set out to improve as well as greatly expand her repertoire of friendly ice cream recipes, and the new title The Keto Ice Cream Scoop, containing a staggering 52 flavors, is the fruit of her extensive labors. I, of course, stand ever ready to offer myself as tribute for all of you, dear readers, in the making of, sampling of, and reporting on all this new, creamy luscios-ness. In addition to expanding the number of flavors, Carrie wanted to tweak her recipes to make them even friendlier for anyone living a Ketogenic lifestyle. One of the concerns that was expressed about the last ice cream outing was that the recipes were very low carb, but because of the inclusion of protein powders, they were probably too high on the protein scale to be truly Ketogenic foods and so, for many, their inclusion into the lifestyle was relegated to more of an occasional appearance. The other issue Carrie set out to address was the extreme variation in the protein powder market. 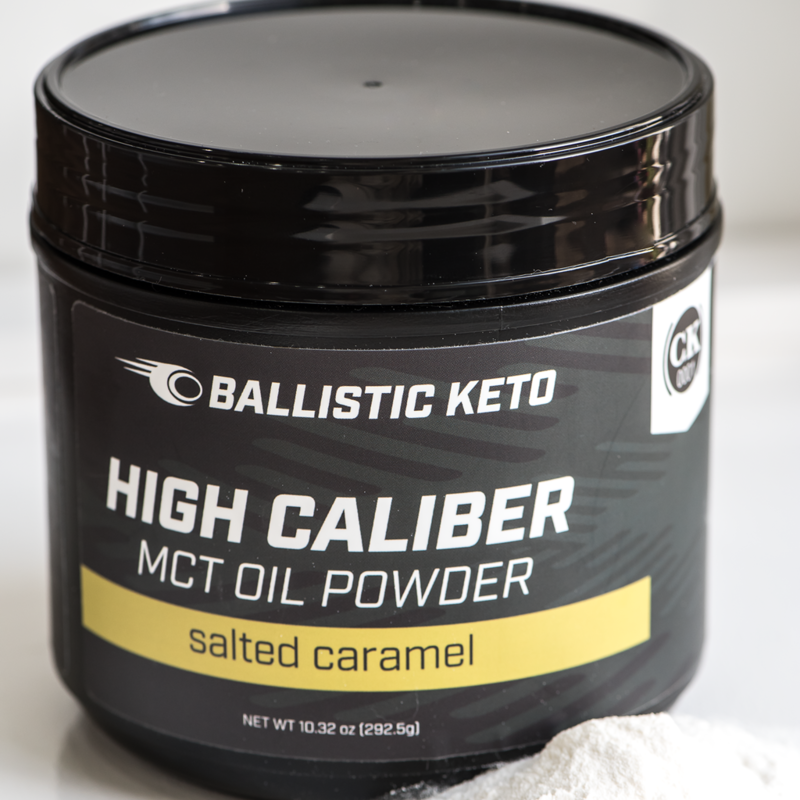 With the popularity of using these supplements in low carb baking, the variety of brands- and extreme variety of ingredients and suitability of the various powders- made it increasingly difficult for the average Ketonian to trust that he or she could confidently include these ice cream recipes at all. Being the lovely person she is, Carrie took the time to not only revamp her recipes from her first book to exclude the protein powder, but to also create a whole slew of new flavors and mix-ins! I churned and sampled eight of the new recipes to see whether or not the alterations changed the texture of her ice creams. Of those eight, Caffeination Station is her altered version of the coffee recipe from the first, and I was very curious to see how well it would turn out without the protein powder in the emulsion. Happily enough, not only was it incredibly tasty, I think it actually tastes better without the powder in the mix. 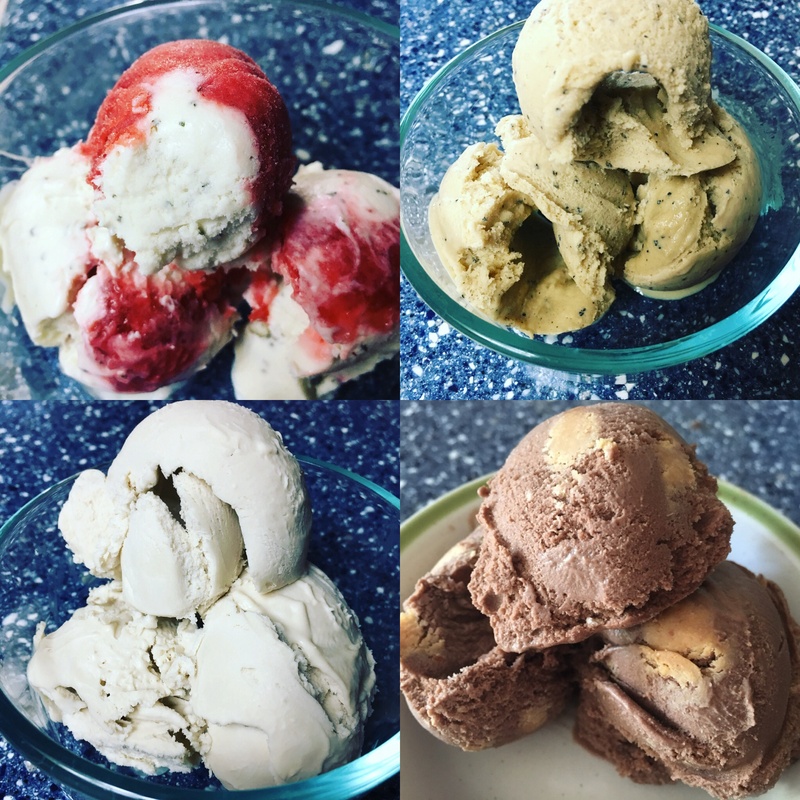 Further, I noticed when I was divvying out the scoops to my family that all of these new recipes make a good eight, two-scoop servings, whereas we were lucky to get five to six servings out of the previous ones. So, already we have an improved product. The ease of which these ice creams are made really depends on the flavor you pick. Some, like White Russian, Caffeination Station, PSL Bandwagon, and Peanut Butter require heating up your cream well enough to (a) dissolve the sweetener, and (b) keep it from turning to butter when you blend it with the rest of the ingredients, but otherwise are largely dump and blend custards. Others- mainly those with the mix-ins- can be a little more complicated and require more time for prepping and chilling those ingredients. Aside from the increased prep time, I did find that all the mix-ins are still very easy to make and hold up very well during the freezing process. This is important, because no one wants to lose a tooth biting through a fudge ripple or a peanut butter chip that’s frozen solid. My own favorite out of this new bunch was White Russian. And indeed, if you read through the book, Carrie mentions that she was kind enough to develop this one at Mrs. Ketovangelist’s and my request. 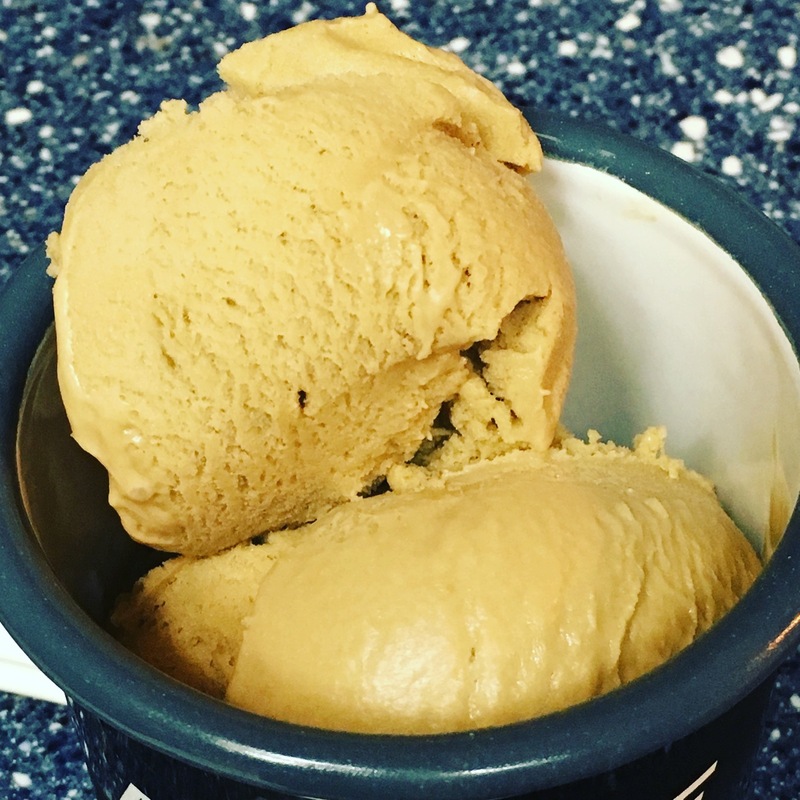 White Russians were, by far, my favorite alcoholic beverage in my pre-keto days, and so I am incredibly excited to be able to enjoy some of that same creamy, Kahlua magic in this ice cream. Not only did she get the taste very much right, this has to be the creamiest custard I’ve ever had. Highly, highly recommended! My husband and children (and a bunch of the neighborhood kids!) also got in on the frozen fun. The biggest hits in my home were Bubblegum Bliss, PSL Bandwagon, Peanut Butter (to which I added some friendly chocolate chips), and- to everyone’s great surprise- Sassy Goat. When I told my husband what I was putting in that custard, the reaction was……well, let’s just say it wasn’t positive. I believe his exact words were, “I can’t see myself ever enjoying something with goat cheese in it.” Which is why I cackled maniacally when he not only ate the Sassy Goat ice cream, he finished off most of the batch by himself and says it was, by far, his favorite of all the ice creams I’ve made. No joke, that stuff is magical. Even though we all have our favorites, all of the ice creams we sampled were very good. In addition to these new recipes simply making more ice cream, the texture is still just as fantastic as it was in Carrie’s first formulations. And that’s not all! 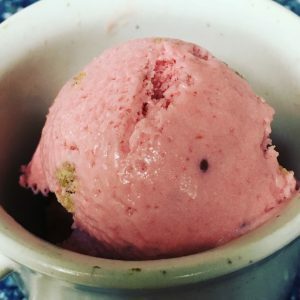 Summer may be gone, but Carrie has made ice cream a thing for the whole year by including flavors like Apple Pie a la Mode and White Christmas for the holidays, and an all new ice cream cheesecake recipe to help you stay keto during birthdays and other special gatherings; all of which I plan on including in my family’s upcoming celebrations. The Keto Ice Cream Scoop may be purchased through the Ketovangelist Kitchen website. And don’t forget to check out her free posted recipes and sign up for email updates while you’re there. 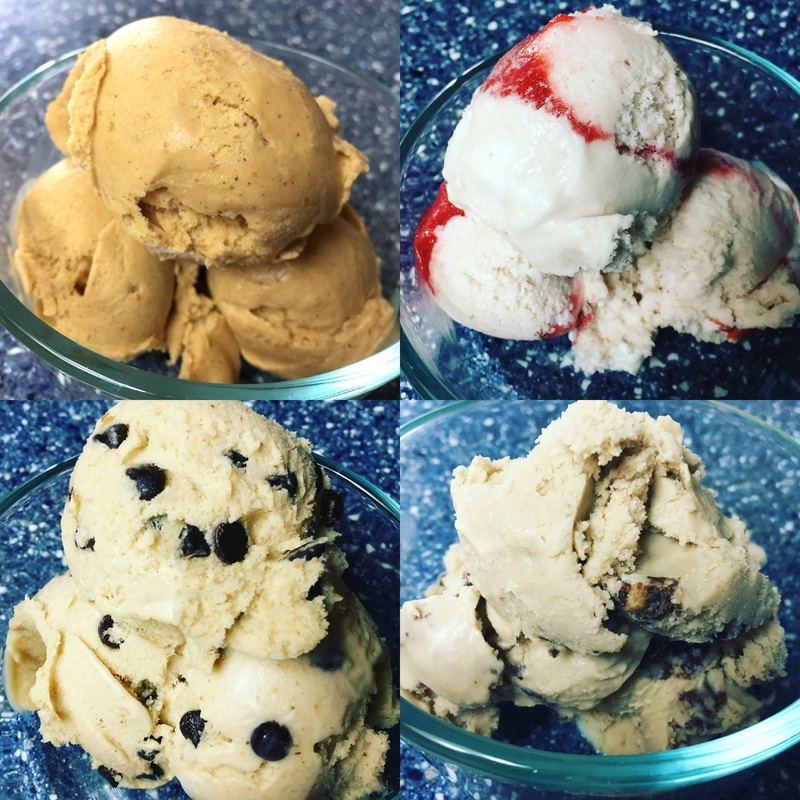 Another summer has snuck up on us, and we have received a boatload of ice cream recipe requests in the Ketovangelist Kitchen Facebook group. That’s usually a good indication that a topic should be visited, or revisited in this case. I decided to republish this piece to, hopefully, help people realize that they have all the tools they need to make amazing, keto-compliant ice cream, and that Carrie Brown can show them how. The first recipe that took my fancy this June was the Blueberry Cheesecake. Blueberries are most definitely in season here in sunny central Florida, and since my kids love them, I figured this was a good place to start. This recipe utilizes several different forms of dairy, and just a hint of lemon, to give that classic cheesecake taste with an incredibly creamy mouthfeel. The whole thing is taken to the next level of tasty with a nice marbling of blueberry compote. Out of the three new recipes I tried this past week, this one is my husband’s favorite. I suspect this recipe would be very versatile, too, when combined with a few other elements from Carrie’s book. Think ice cream pie with her lemon shortbread for the crust. You’re welcome. I’m not sure what a rhubarb even is, but I am certain this ice cream is amazing. The next recipe I churned is my daughter’s favorite of the three: Strawberry Rhubarb Pie. I’m going to blow your minds when I say this, but I had never consumed anything made with rhubarb before. It’s something we only see in the grocery stores here, very briefly, once or twice a year, and I honestly had zero in the way of ideas as to how it should be cooked. I have obviously heard of combining strawberry and rhubarb before, but since I’m keto the idea seemed like it would be generally out of bounds. Carrie, however, has managed to concoct a very friendly ice cream recipe using those classic pie elements, and even giving us a little bit of crust in the form of cinnamon shortbread cookie crumbs churned into the whole shebang. Funnily enough, while my daughter loves the ice cream itself, she told me the cookie crust parts were her favorite, and asked me to make her a batch of the cinnamon shortbread a la carte. I must admit, this recipe made my first rhubarb experience a delightful one, and it certainly won’t be my last. The last new recipe I tried this week is, by far, my favorite of the three: Dirty Hippie. Because coffee is life. The dirty hippie is a drink that may also be known as a dirty chai latte. Essentially, its espresso mixed with spicy chai tea. When making this recipe, I highly recommend using a brand of chai teabags that you have used and know to be reliably delicious. Spice mixes can vary quite a bit between brands, so if you have a particular flavor of chai you prefer, it’s worth it to splurge on your favorite tea for the steeping step. As I said, this one was my favorite of these latest batches. It is very much like having a frozen latte in a bowl, and the cinnamon and other chai spices adds that little extra dimension of delicious. As with all of Carrie’s recipes, the instructions for these three beauties are insanely easy to follow. If you can read, you can make these ice creams, and almost all of the ingredients should be fairly easily located in any major grocery store. 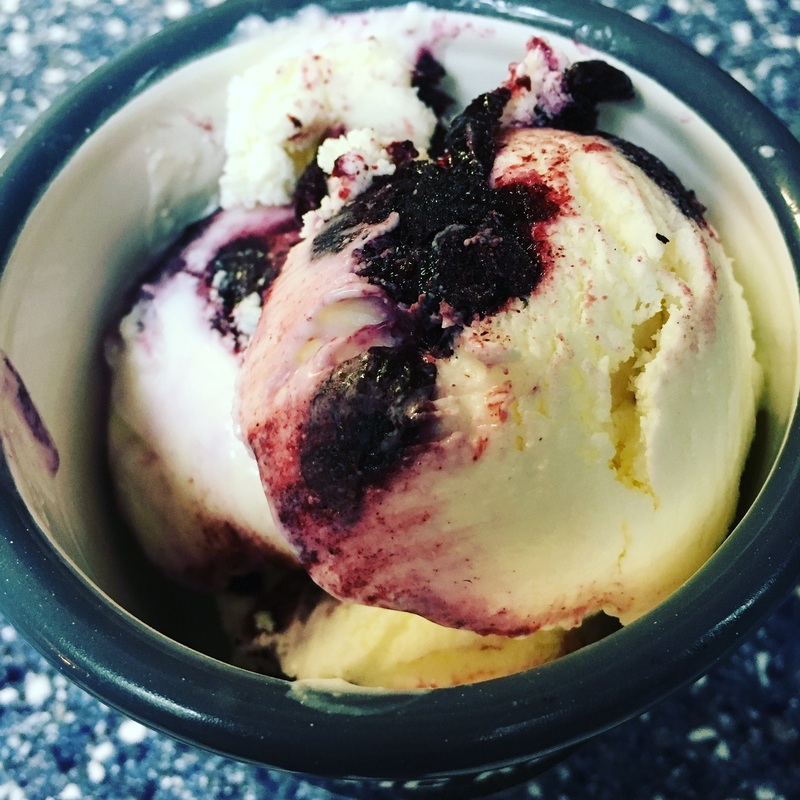 Carrie makes amazing ice cream easy, and The Keto Ice Cream Scoop has quickly become a summer staple in my home. But you don’t have to take my word for it! Carrie and Brian cover her Peanut Butter ice cream in the latest episode of the Ketovangelist Kitchen podcast. Give it a listen and a try! I’m confident that after making just one of her ice cream recipes you will be blown away.